Name: Get Licensed to Pop-Up in Chicago! 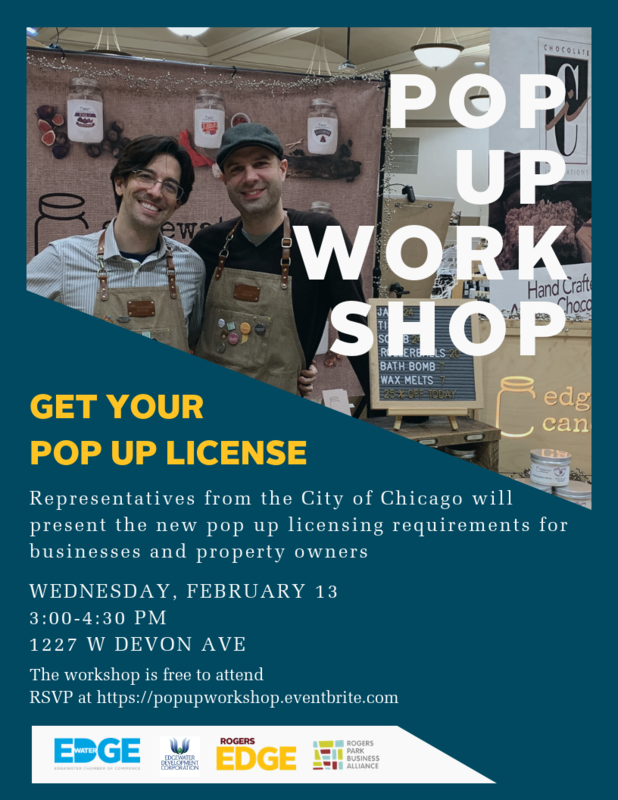 Get Licensed to Pop Up in Chicago! 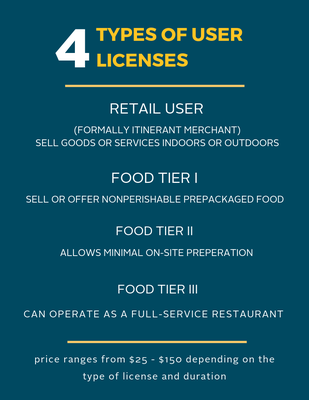 The City of Chicago recently created new licensing for businesses and property owners to allow temporary pop-ups for the sale of goods, services and food. As a retail user, you can receive a license for 5 days up to one year at a cost of $25 - $150. This license allows you to pop up at various indoor or outdoor locations throughout the City to sell your goods or services. 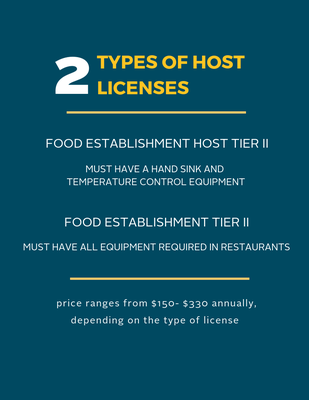 As a food establishment, you have the option of applying for a license for 5 -90 days at a cost of $50 - $150. This will allow you to serve your food at locations throughout the City. RSVP to this free workshop here.